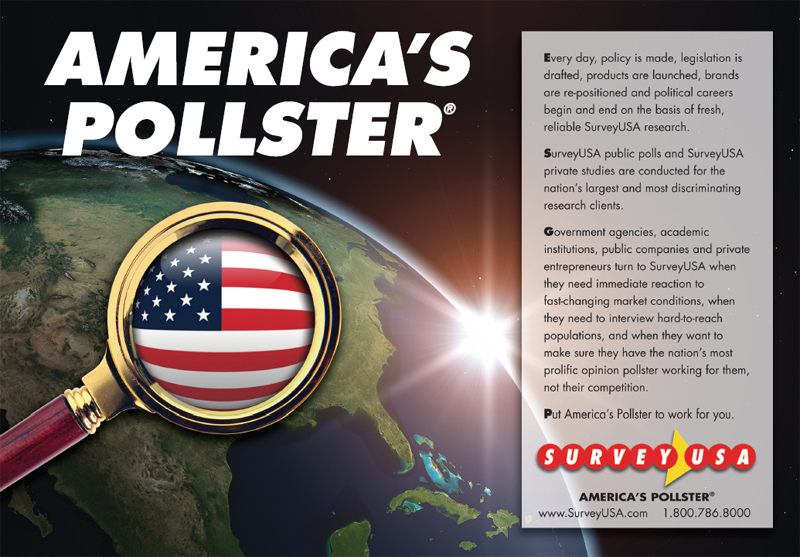 CLIFTON NJ — October 10, 2017 — SurveyUSA®, America’s Neighborhood PollsterTM, celebrates its 25th anniversary by retiring SurveyUSA original recipe and launching all-new SurveyUSA 2.0. SurveyUSA electrified local TV stations when it conducted its first-ever opinion polls affordably and reliably for WSV N-TV Miami in October 1992. 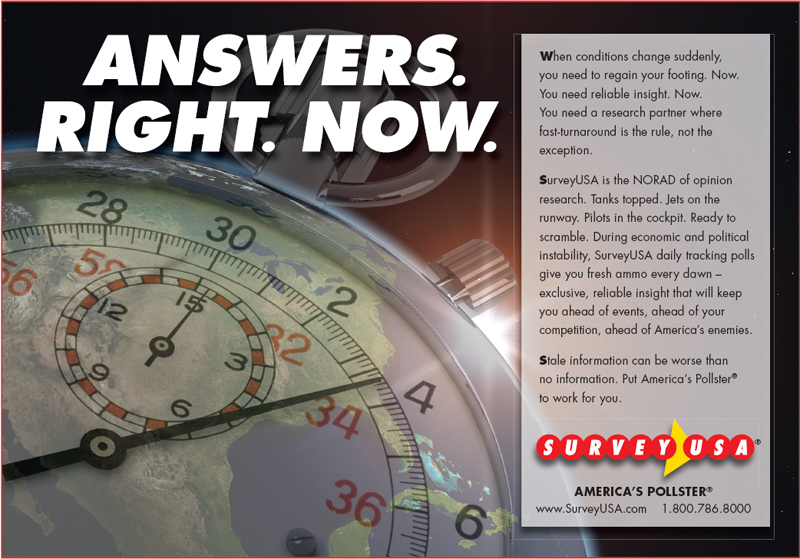 At the NATPE convention 3 months later, SurveyUSA put all 6 Hearst- Argyle stations under exclusive, long-term contract and signed those Post-Newsweek stations whose territories were still open. From there, another 80 TV stations were added to the client roster until SurveyUSA was under long-term exclusive contract in 48 of the Top 50 Nielsen media markets . 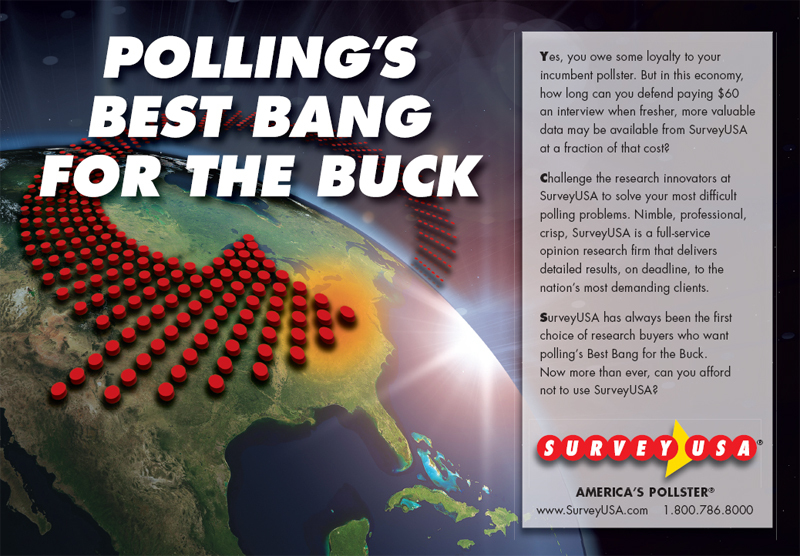 During its first 10 years, SurveyUSA conducted more local public opinion polling, more local pre-election polling, more local exit polling and more local market research than all of its competitors combined. 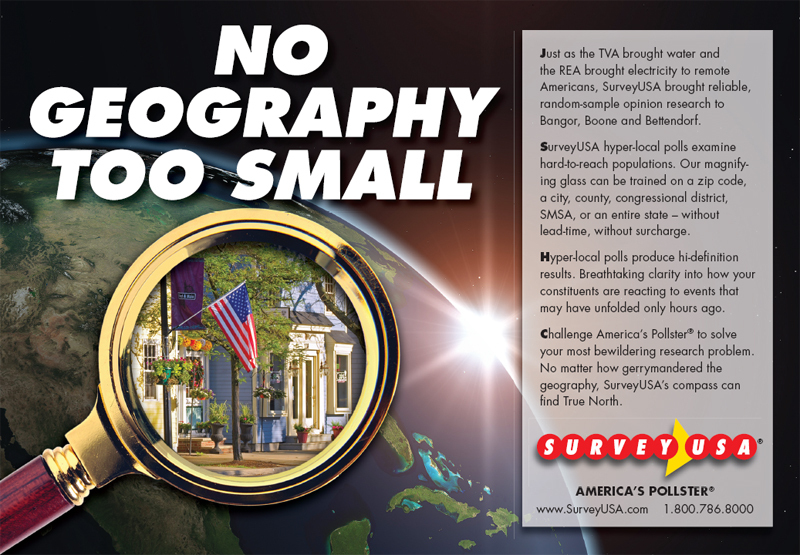 To celebrate its 25th anniversary, SurveyUSA will conduct fresh, custom, local research for all of its original mediaclients at no charge: WCVB-TV Boston,WDIV-TV Detroit,WSVN-TV Miami,WTAE-TV Pittsburgh, WISN-TV Milwaukee, WBAL-TV Baltimore, KMBC-TV Kansas City, WJXT-TV Jacksonville and WDTN-TV Dayton. These surveys and all other future SurveyUSA research will be conducted using SurveyUSA 2.0, which newly takes advantage of the world-wide-web to extend the SurveyUSA tradition of research excellence. “Internet opinion research allows us to reach the majority of Americans who either no longer have a home telephone or who have one but don’t answer when it rings,” Leve says. SurveyUSA 2.0 allows media clients to get viewer reaction to video of new talent, video of new promos, to jingles and all other still, audio and video creative. 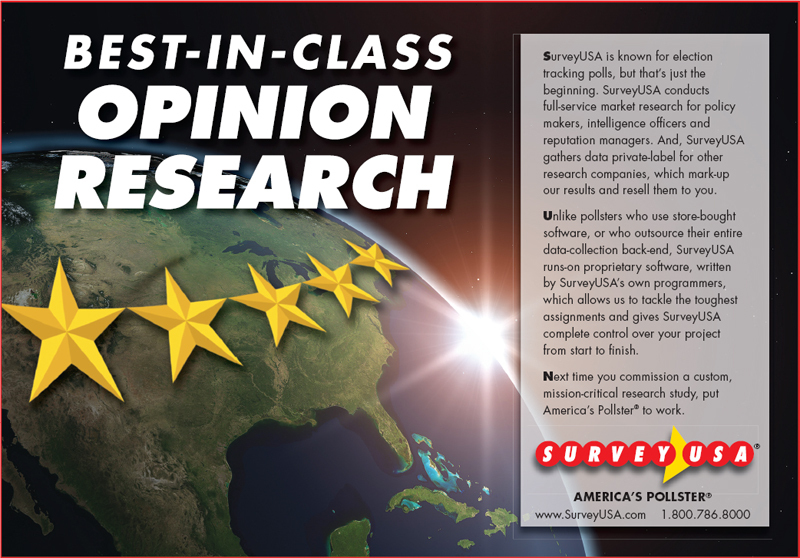 And SurveyUSA 2.0 makes it possible for the first time for local TV stations and local newspapers to ask poll questions for publication and private market research questions for internal management use simultaneously. 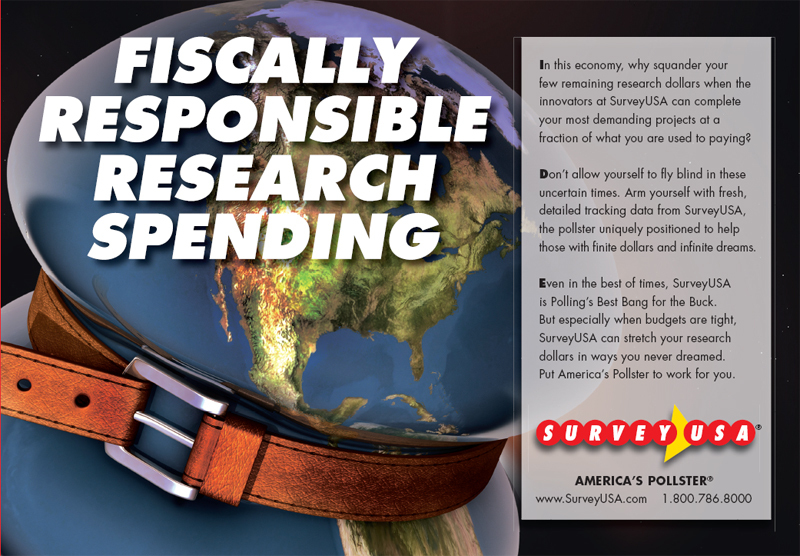 About: Independent, non-partisan, award-winning SurveyUSA conducts custom, local opinion research for universities, non-profits, ad agencies, PR firms, commercial clients and media. SurveyUSA 2.0 is available a la carte on a non-exclusive basis or under long-term contract on a territorial-exclusive basis. 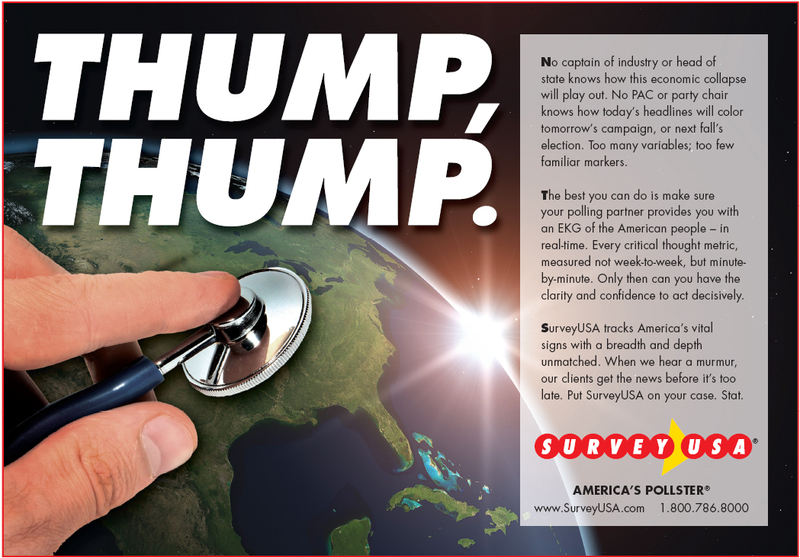 CONTACT: Jay H Leve, jleve@surveyusa.com, 1-800-786-8000 ext 551.